How bad do Europeans want plug-in cars? Nissan is using a campaign called the "Big Turn On" (wink, wink, nudge, nudge) to get people in various cities to compete for a prize of 30 Nissan quick chargers installed in that city. Of course, if Nissan installs a bunch of CHAdeMO quick chargers somewhere, it makes plug-in vehicles like, say, the Leaf, all the more appealing to buyers and a contest like this can only raise the EVs visibility. So, it's a win-win. The Big Turn On aims to get a million people, well, turned on to electric driving in 100 days. To signify interest, drivers can click on the button on The Big Turn On website or take a Leaf for a test drive. They can also follow bloggers who are testing out the Leaf and we're sure there's a Facebook page for all this somewhere. There are mini-contests involved that will see Nissan giving away tablet computers and Leaf vehicles to some participants. Currently, Marseille is the most turned-on city, with over 31,000 people ready for EVs; Strasbourg is second with just over 18,000. Nissan isn't only relying on social media to get people excited about EVs. The press release announcing the contest says that, "by the end of 2012, the Company will have given away over 400 quick chargers to local authorities and partners with the ultimate aim of developing a network of thousands of chargers and creating a number of Electric Highways to link cities across Europe." So, even if your city doesn't win this contest, a way to charge a Leaf to 80 percent full in a half hour could be just around the corner. Scroll down to see a video about The Big Turn On. ROLLE, Switzerland (30 March 2012) - Cities all over Europe will be invited to embrace electric driving and encourage their communities to support Nissan's campaign - 'The Big Turn On' - in a bid to win 30 quick chargers from Nissan. The quick chargers are part of a wider initiative from Nissan to get one million consumers switched onto electric driving, in just 100 days. The basis of 'The Big Turn On' campaign is to engage the public and support their cities' bid to win a new electric driving infrastructure from Nissan. Paul Willcox, Senior Vice President for Sales and Marketing, Nissan Europe, said: "Nissan was the first manufacturer to mass produce an all-electric car - the Nissan LEAF. We recognise the importance of a zero-emissions future and to date, along with our Alliance partner, Renault, have invested over €4 billion into electric mobility. Now it's time to tell Europe about the benefits and demonstrate the Nissan LEAF is a real alternative today, and 'The Big Turn On' is designed to do just that." At the same time, the campaign will bust many of the myths that have emerged around electric vehicles. The Nissan LEAF was awarded European and World Car of the Year 2011, has a 95% customer satisfaction and a 5* Euro NCAP rating. 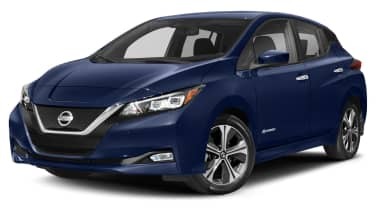 Among many evidences the initiative will prove that electric vehicles are very economical to run; that Nissan LEAF is incredibly safe; and that the range between charges is easily sufficient for the vast majority of daily trips. The Nissan LEAF has a homologated range of 175 kms (NEDC), which is further than 90 per cent of European motorists drive on a weekday. The campaign aims to reach one million potential EV advocates in France, the UK, Germany and the Netherlands, through a combination of myth-busting achievements and direct interaction via a massive digital and social movement. 'Turning on' is as easy as a 'click' - consumers can pledge their commitment to EV by clicking the 'turn on' button via The Big Turn On website (www.thebigturnon.com), via social media channels or by signing up for a LEAF test drive.